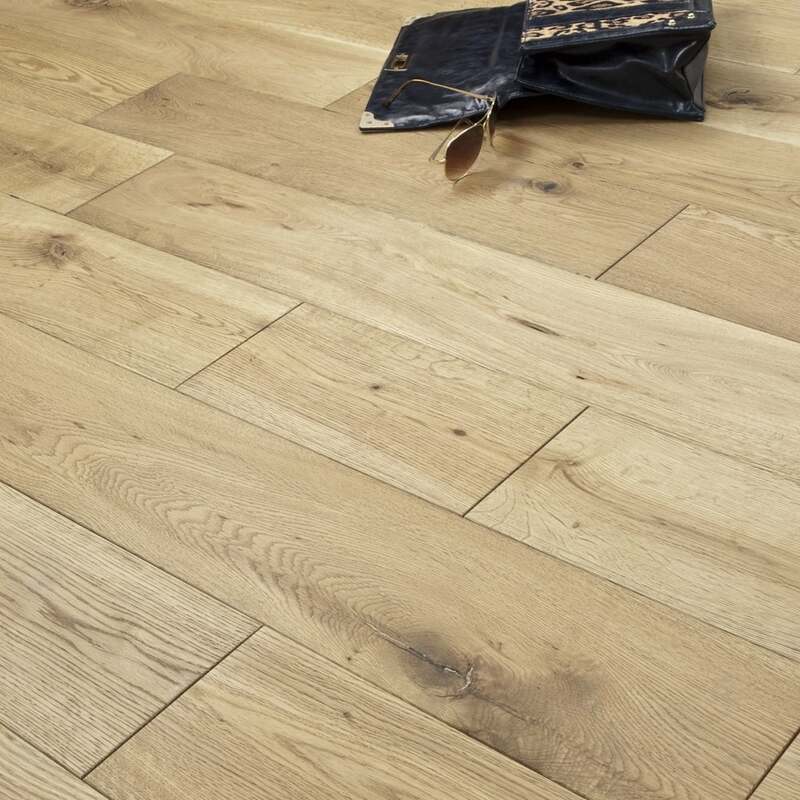 Timeless 18/5mm x 150mm Oak Brushed and Oiled is 18mm thick with a 5mm solid oak top layer that may be sanded and resealed up to 3 times during the lifespan of the product. The large 1.98 pack size contains a number of random length boards ranging from 310mm to 1200mm, each 150mm wide. Looks like an excellent product. Good thick top layer. Have chosen it to buy.